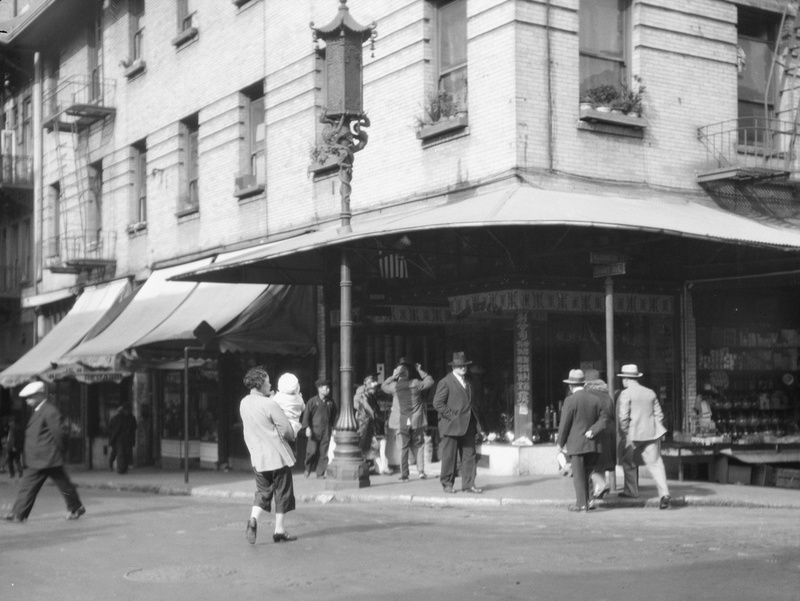 The corner of Grant Avenue and Washington Street in San Francisco, around 1920-1930. Image courtesy of the Library of Congress, Arnold Genthe Collection. While the Arnold Genthe photo in the previous post showed San Francisco’s Chinatown before the 1906 earthquake, this view a block away shows the neighborhood some 20 years after it was rebuilt. By this time, though, Chinatown was seeing the effects of many years of anti-Chinese immigration policies, such as the Chinese Exclusion Act of 1882, which made it almost impossible for Chinese women or families to immigrate to the United States. 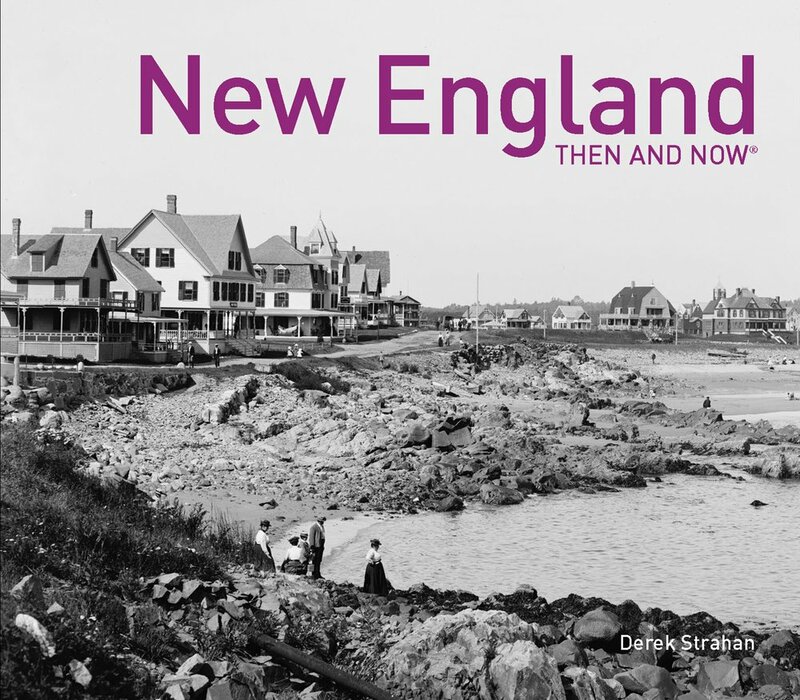 When the first photo was taken, the neighborhood’s population was at an all-time low, and this would not begin to rise again until after World War II, when the Exclusion Act was repealed due to American alliances with China during the war. Today, it is the largest Chinese community in the world outside of Asia, and in the past 90 years or so this particular view has hardly changed. The building is still standing, as are the ones in the distance to the left, and even minor details such as the fire escapes and the lamppost are the same as they were in the 1920s. 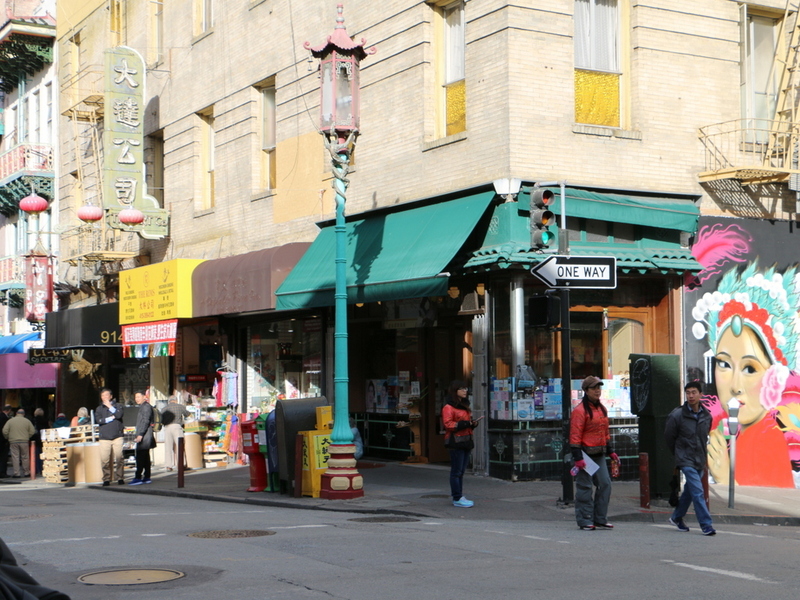 The influence of Chinese culture is still very apparent, and Grant Avenue in particular, as shown here, is a major tourist destination in San Francisco. This post is part of a series of photos that I took in California this past winter. 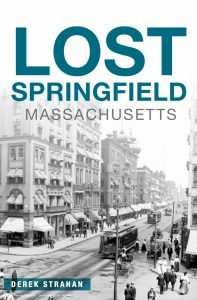 Click here to see the other posts in the “Lost New England Goes West” series.